I have always heard that you can’t take honey from a hive until it has survived thru its first Winter. From what I could tell, at the beginning of spring last year (first hive to survive in my five years of beekeeping) when I opened up the box after Winter, the bee volume was about half of one medium. I don’t know if that was normal. They survived and then thrived so I didn’t care. My question is, when you get a nuc, it would seem to be the same size as my surviving hive, so why can’t I take honey from them their first year? Why wouldn’t they be able to produce their own honey stash after a regular honey flow like all other 1+ year old hives? I never tell beekeepers that they cannot take off honey from a first year hive – only that they should not expect to. Our goal for a young colony is for it to draw out all the frames in the desired number of brood boxes, increase in population, and have enough food stored by late Fall to survive the upcoming Winter. Excess honey for harvest is a bonus. It’s a step by step process. First you, the beekeeper, watch for the bees to draw out most of the foundation in one brood box (about eight frames out of 10) before adding another. Repeat until all boxes are drawn out. The typical hive consists of two deep brood boxes, but that can vary depending on climate and personal preference. 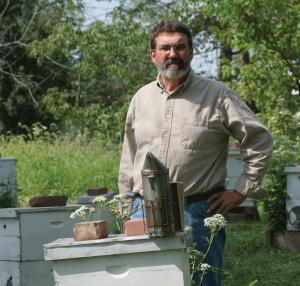 Where Winters are long and severe, a colony might need three deep boxes to house the bees and the food stores it needs to survive until Spring. Then again, some beekeepers, like you, prefer to use mediums as brood boxes. In that case, three would be the most common configuration. The next step, after the top box is drawn out, is for the bees to fill it with brood, honey, and pollen. Only then, and only if there is still a nectar flow, is it time to add a honey super. If they draw that out and start to fill it with nectar, add another. Whether or not a new colony produces harvestable honey in its first year depends on a number of factors. Was it started from a nuc or from a package? Nucs arrive with several frames already drawn, a queen that is laying, and at least some brood. To begin with a package is to start from scratch; package bees must draw out comb before the queen can begin to lay. Since there is no brood to start with, there will be a delay of several weeks before any new bees emerge. A rapid build-up is crucial to making the most of a spring nectar flow and is one of the reasons that many beekeepers prefer to begin colonies from nucs – when they can find them. It’s also why timing is another variable in honey production. How early in the Spring was the new hive established? The earlier the better in terms of build-up, but temperature is a limiting factor, leading to the next question: in what part of the country is the new hive located? In Florida beekeepers start new hives in January, but in northern Michigan it isn’t safe to do so until late May or early June. Regional location also dictates factors such as length of the nectar flow, dearth periods, and length of day. In North Dakota, for example, the growing season is short, but the days are long and bees forage nearly from dawn to dusk. The final factor is luck. Was it a dry year with little available nectar? Did it rain throughout most of the blooming period so that the bees were unable to fly and forage? Clearly, with so many variables affecting the chances of a first year harvest, there can be no hard and fast rule about it. Congratulations on successfully wintering a colony for the first time. If it makes more honey than it needs this year, don’t hesitate to take your share. Some people call it robbing the hive. I call it charging rent. A couple of weeks ago I purchased eight jars of your honey from the IGA in Wilmore. My intention was to mail them to family members as Christmas presents. However, the honey is now a solid mass. Is it okay? How do I get it back to the way it looked before. It was such a pretty amber color. Whatever happened? Crystallized, and not crystallized honey. The honey is perfectly okay, but if you want to understand what happened, you’ll have to be patient while I go into a little chemistry. Honey is basically sugar, but it differs from table sugar in a couple of important ways. First of all, table sugar consists of sucrose – just sucrose. Honey is a mixture of “ose”s, predominantly glucose and fructose, with trace amounts of minerals and other ingredients such as acids. More importantly, if you look closely at the sugar in your canister, you will see that it is made up of tiny, dry crystals. Most honey is sold as a liquid containing up to 18% water, but it’s what scientists term supersaturated. The definition of a supersaturated liquid is one which contains more dissolved solutes (in this case the sugars) than could be dissolved in normal circumstances. I like to say that it is a liquid yearning to return to a crystalized state, and sometimes, as in the case of the jars of honey you bought, it does. All types of honey will crystalize under the right conditions. The reasons that some do so more readily than others, are complicated. It depends partly on the exact composition of the nectar from which the honey was made, which in turn depends on the floral sources from which it was collected. Just as flower varieties, growing conditions, and time of year affect the color and taste of honey, they also influence its tendency to crystalize. Another factor is the size and number of small particles in the honey. Crystals need a substrate on which to grow, and tiny grains of pollen or flecks of wax provide one. 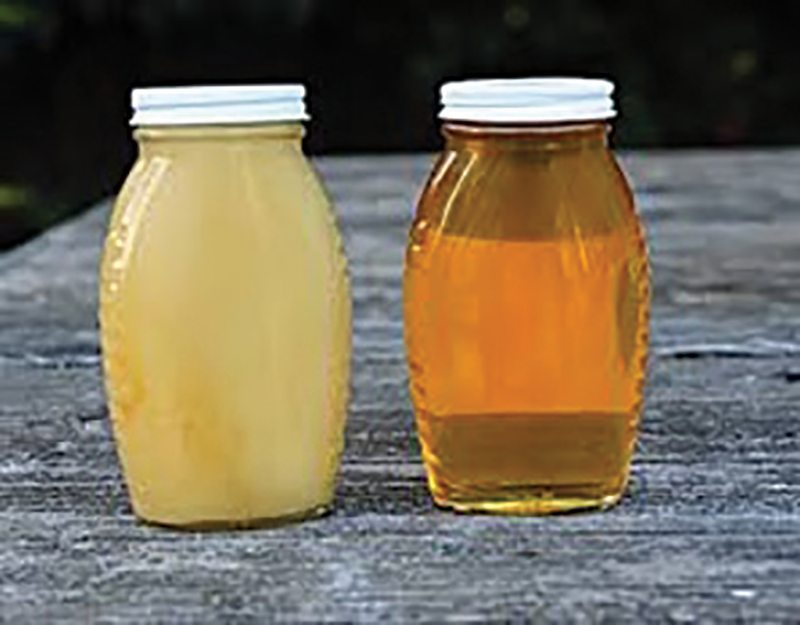 They have been removed through heating and pressure filtering from the honey sold by large packagers, which is why the jars you buy in the grocery store are rarely solidify. Typically the honey sold by small scale beekeepers, like me, is less processed and therefore more likely to contain some pollen. Many people feel that it improves flavor and some believe that eating it alleviates allergy symptoms, but it does, indubitably, promote crystallization. Temperature is an even more critical factor. Honey crystalizes most readily between 50º and 60ºF. Warmer storage conditions make the transformation less likely and, counter intuitively, jars of honey can be kept frozen indefinitely and then thawed without affecting its consistency. Enough of chemistry class; your question is what to do now. When jars are gently heated to a temperature between 105º to 115ºF, honey will revert to a liquid state. A hot water bath is the best method, but care must be taken to keep plastic jars from direct contact with a heat source. Alternatively, the honey could be enjoyed as it is. 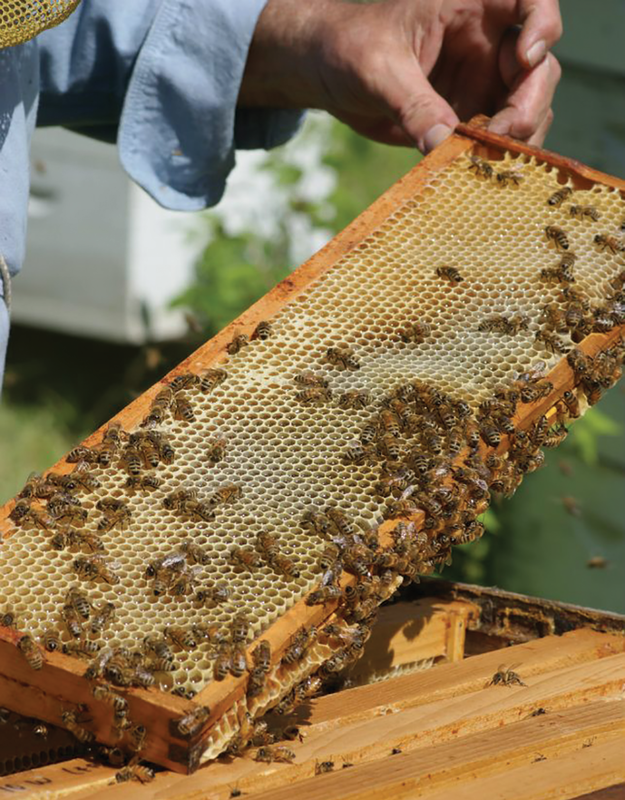 Many beekeepers sell creamed honey, which is made by a process of controlled crystallization. Some honeys, such as canola, crystallize so readily that they are virtually always sold creamed. In fact, in many countries solid honey is the norm. In whichever form you prefer it, honey is good eats. If you stop by my house, I will swap out the jars that have crystallized for some that are still pretty amber. I enjoy your practical answers in Bee Culture. I was hoping you could answer a couple of questions. I live in South Carolina and the winters are comparatively ‘warm’. 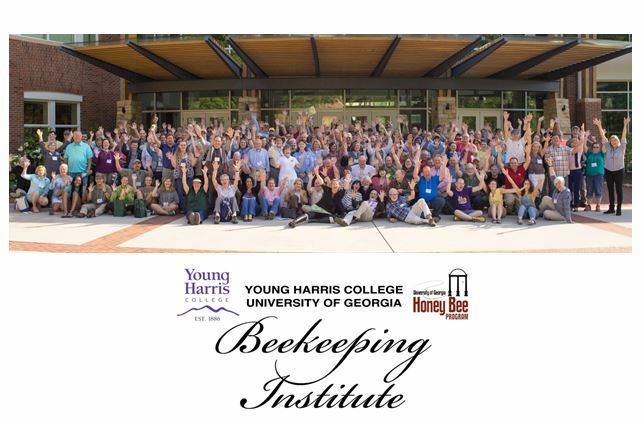 I just started beekeeping and completed the Beginner Course in January-February of 2016. While many people in this area insulate the top of their hives and put a cover below their screened bottom boards, I have not talked to anyone who actually insulates their hives. If I were to follow the pack and insulate the top and put a cover below the screened bottom board AND put R-3 insulation on the sides of the hives (making sure to keep the notch in the inner cover clear for ventilation), would I create a problem for the bees? I noticed something disconcerting today. It was overcast and ~50 degrees today. I watched a yellow jacket (they’ve been especially bad this year) land on the landing board and after several seconds walk into the hive. I expected to see the yellow jacket exit the hive pursued by guard bees. I did not see it exit after about a minute. Should I be particularly concerned or is this something that happens now and then? With the exception of those in the far north, beekeepers in the United States do not find it necessary to insulate their hives during cold weather. The only physical modification that I recommend for winter is the installation of mouse guards. A warm, dry hive can be an enticing refuge for mice. Beekeepers who fail to take precautions (and I admit to being one of them from time to time) may find nests, damage to comb, and sometimes mice themselves in their hives come Spring. Mouse guards, or entrance reducers as they are also called, often consist of solid blocks of wood which fit in the hive entrance and restrict it to an opening that a mouse cannot get its head through. Unfortunately, some beekeepers have the mistaken impression that the purpose of entrance reducers is to help keep the hive warm by restricting reducing drafts of cold air. In fact, as from your question you seem to be aware, good ventilation is just as important in winter as it is in Summer. That’s why I prefer (when I do get around to it) to use mouse guards made of perforated metal strips which effectively block mice, but do not impede the flow of air. A colony is capable of dealing with cold temperatures, but is stressed by the cold, wet conditions created in a poorly ventilated hive. Though honey bees are cold blooded animals and therefore not individually capable of thermoregulation (meaning that they cannot control their own body temperature), collectively, they use an impressive array of strategies to regulate temperature within the hive. In Summer, they deposit droplets of water throughout and fan them with their wings. As the drops evaporate, the change of state produces a reduction in temperature much as evaporating beads of sweat cool our skin in hot weather. At the approach of cold weather, the bees “caulk” unwanted cracks and openings in the hive (whether it be a brood box or a hollow tree) with propolis produced from resin and other plant material. Every beekeeper who has ever used a hive tool to pry two boxes apart knows what an effective sealant propolis makes. The key to winter warmth, however, is the cluster. When the interior temperature reaches the mid 60s, the bees have already formed a loose ball to share body warmth. The cluster shrinks as it becomes colder and the colony huddles closer. Meanwhile, some individuals flex their thoracic muscles to produce heat in an action that resembles flying in place. By the time a thermometer placed in the hive would read in the mid 50s, the cluster consists of a compact shell of stationary, flexing bees and an inner core where individuals can move about on the comb and feed. The shell can be several layers thick, made up of bees with their heads facing inward. Workers change positions, rotating between the shell and the core, but the queen stays always in the sheltered center. In this way, by muscle contractions, by expanding and contracting the cluster, and by increasing or reducing the number of bees in the shell, the colony can maintain a temperature of about 68°F within the cluster even when it’s well below freezing outside. Pretty amazing! Honey bees are also, in most cases, self-sufficient when it comes to protecting themselves against carnivorous, predatory insects. 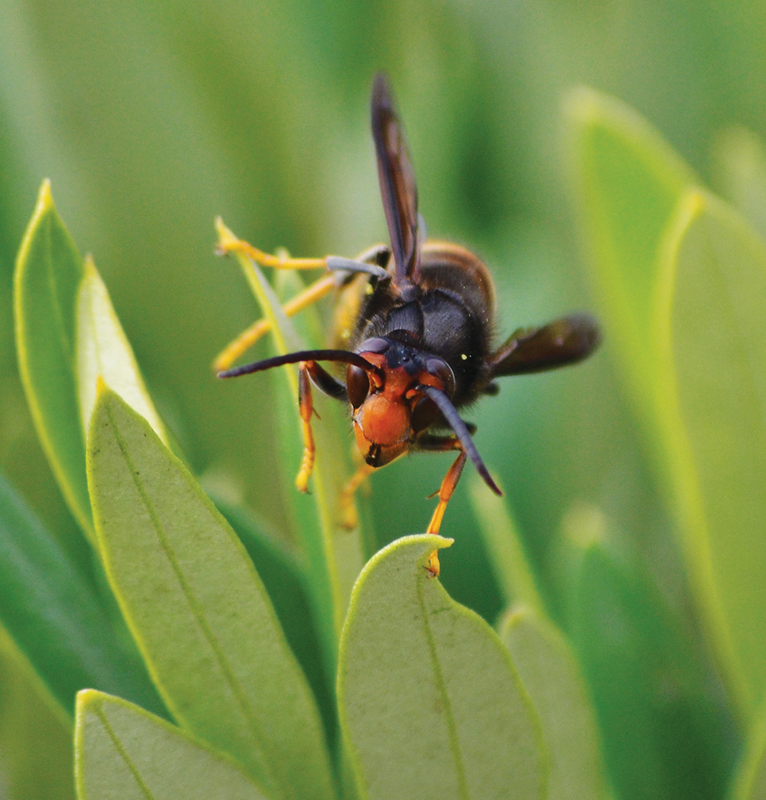 Yellow jackets, hornets, and cicada killers, all of which are actually wasps, will attempt to prey upon colonies. In tropical countries these (and one species of Asian hornet, especially) are a serious problem. Most predation in the U.S., however, is by hornets and non-wasp insects such as damsel flies, dragon flies, and a particular species of praying mantis, and it tends to be by individual insects. Our hives, for the most part, do not experience the mass attacks which take place in other parts of the world. Europe, for instance, has not been so lucky. Since they were accidentally introduced in France about 10 years ago, the Asian hornets (Vespa velutina) have created consternation amongst beekeepers there, and have since spread to nearby countries. Their modus operandi is for several dozen hornets to wait at a hive’s entrance and bite the heads off bees as they emerge. After killing and eating most of the adult bees, the predators can finish robbing out the hive. On a couple of recent visits to France I have seen Asian hornets around bee hives, though each time it was only a single insect. On both occasions it was quickly dispatched by the beekeeper. As an alternative to individual assassination, many beekeepers now use hornet traps. These are not generally marketed here because Vespa velutina has yet to cross the ocean. In the U.S., mass attacks are usually perpetrated by yellow jackets, especially in the late Summer, and Fall. They are after the dead bees, including drones, which tend to accumulate around the entrance, though they will rob hives for honey as well. I have occasionally seen them in my colonies, but they have never posed a real problem. 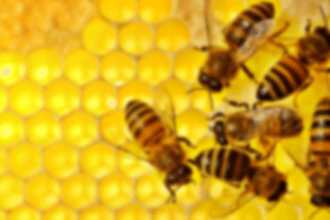 Some beekeepers do report serious raiding and robbing of hives by groups of yellow jackets, the colonies most at risk being those which were already weakened from other causes. Other than maintaining strong hives, I can only suggest yellow jacket traps for large scale or persistent problems. There is a lot of, mostly reliable, information about them available on the internet. A few dozen of the pests can be dealt with most easily by squishing them with a hive tool or even a finger. (Do this last quickly. Take my word for it.) However, I am certain that your single yellow jacket was not a threat to your bees, and should not be of concern to you. A honey bee colony is well prepared to defend against a single insect predator. One common defense is balling: a number of bees surround the invader and flex their wing muscles, just as they do in warming the cluster, and literally kill by overheating. Then there is always stinging. Either way, I’m sure the intruder was quickly dispatched. I give you full credit for being a conscientious first year beekeeper. By taking classes, talking to beekeepers around you, asking questions, and noticing what is going on in your hives, you’re doing everything right. But give the bees some credit too – they’ve been doing this for a long time.